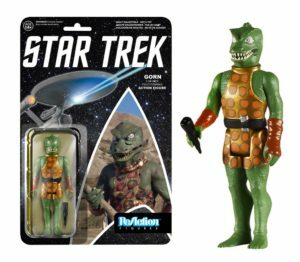 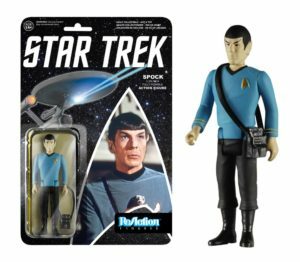 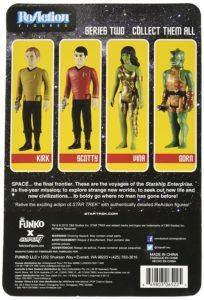 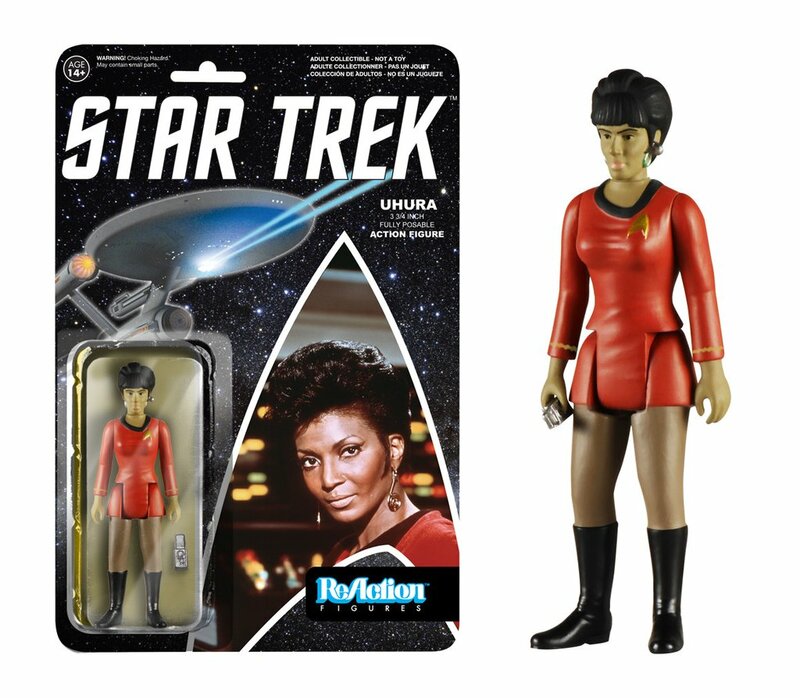 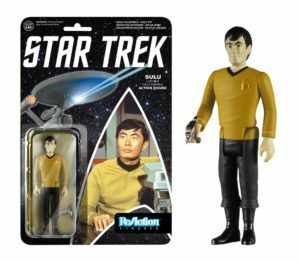 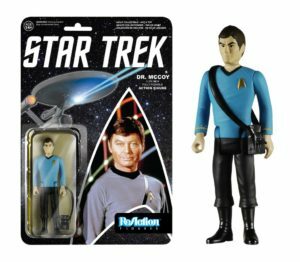 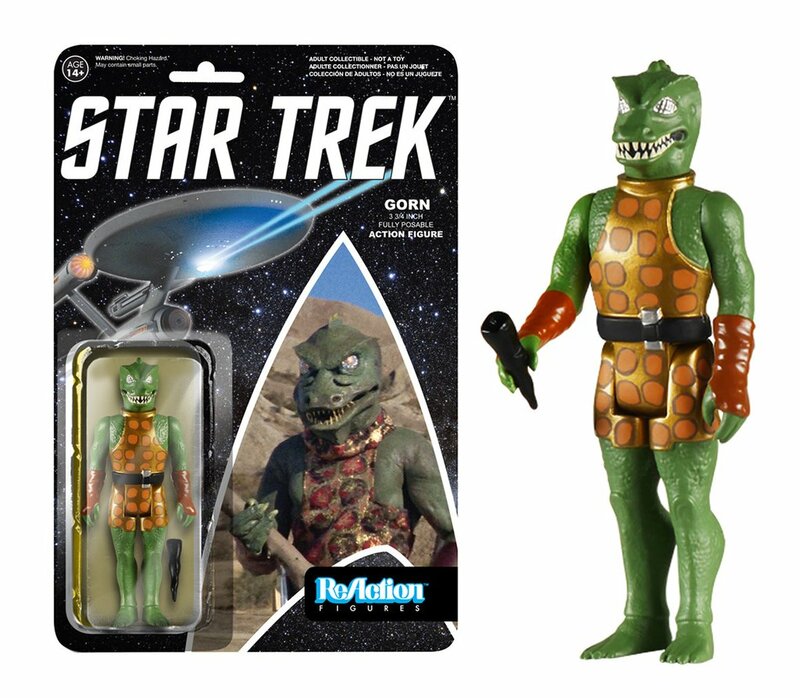 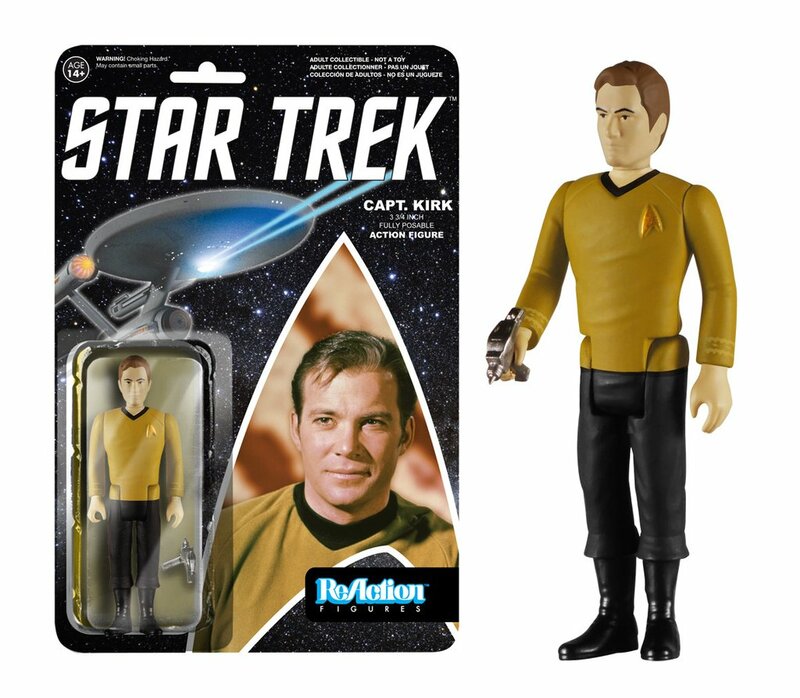 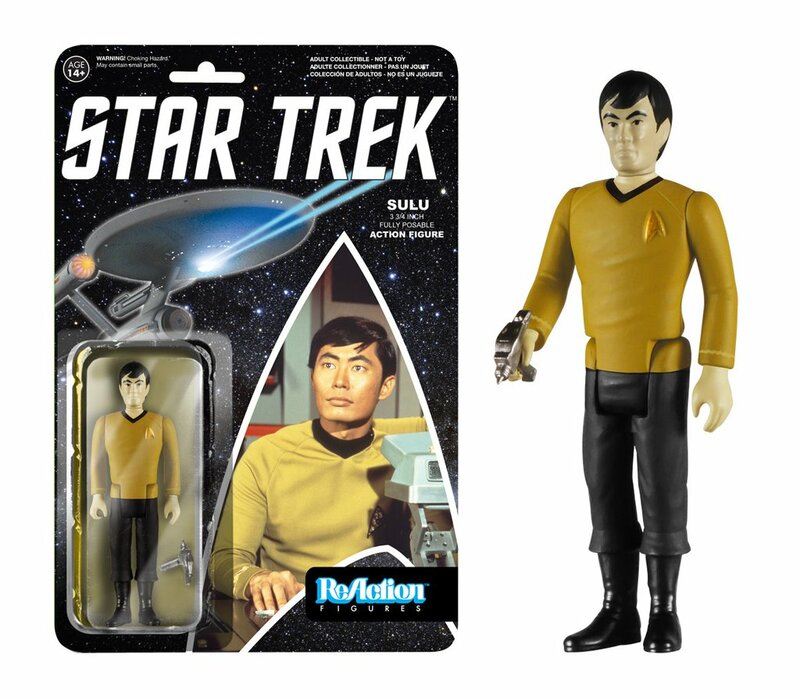 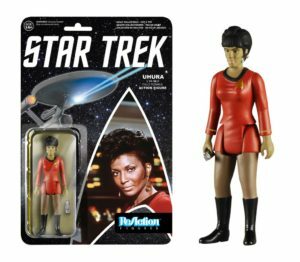 Funko’s ReAction line of Star Trek: The Original Series action figures measures 3 3/4″ high and comes with five points of articulation. 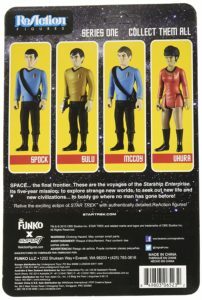 The packaging is a 80s-style card back design. 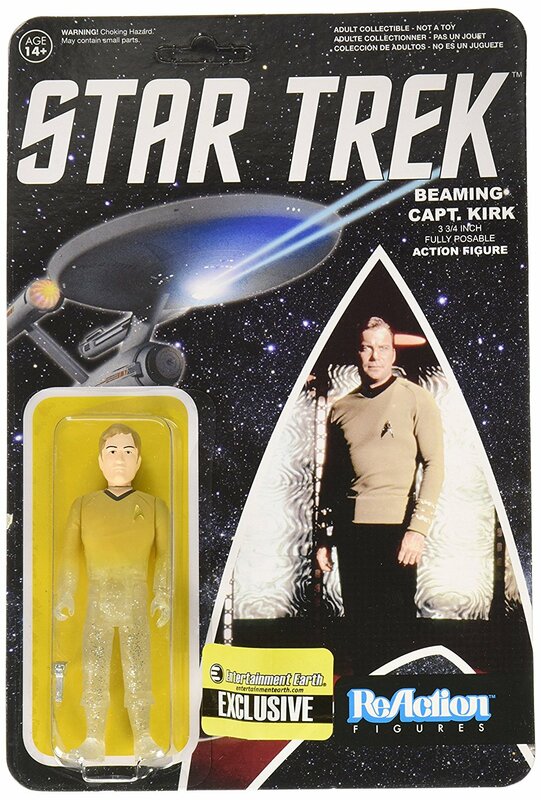 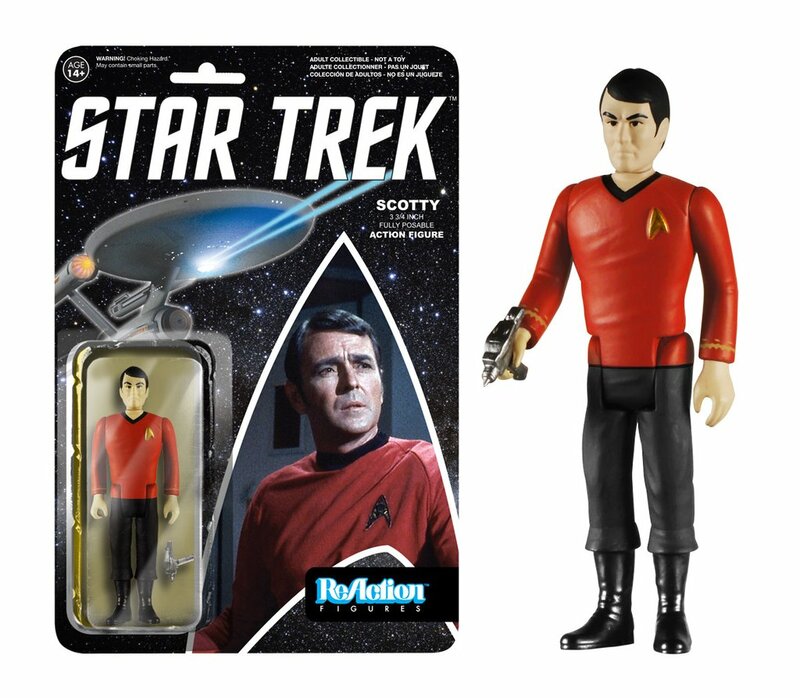 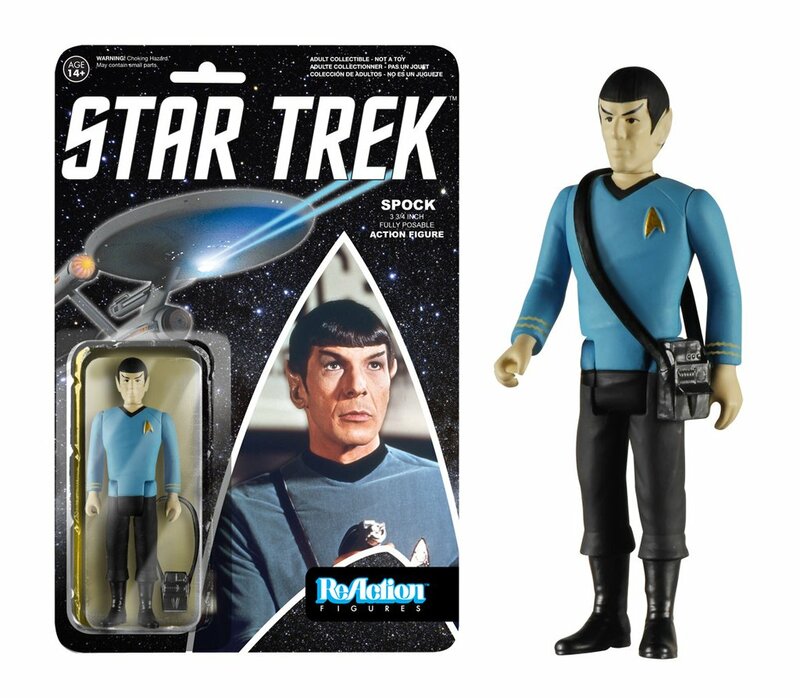 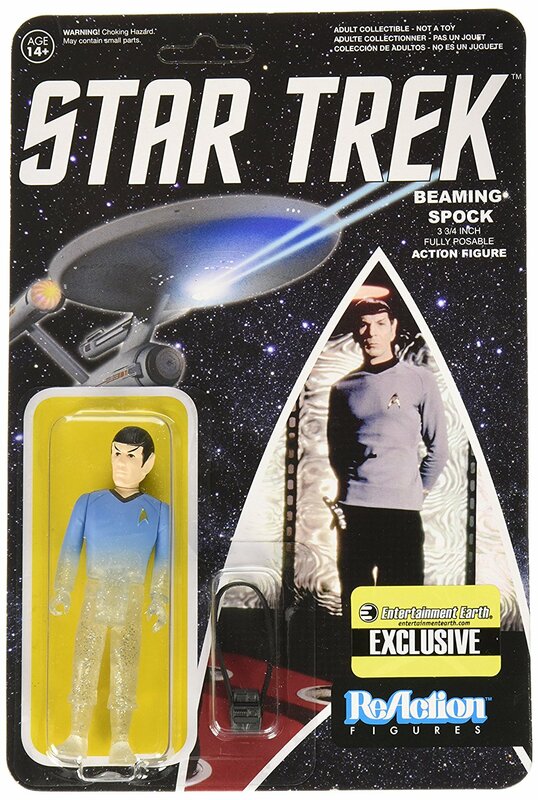 Entertainment Earth also has two exclusive figures of Beaming Kirk and Spock. 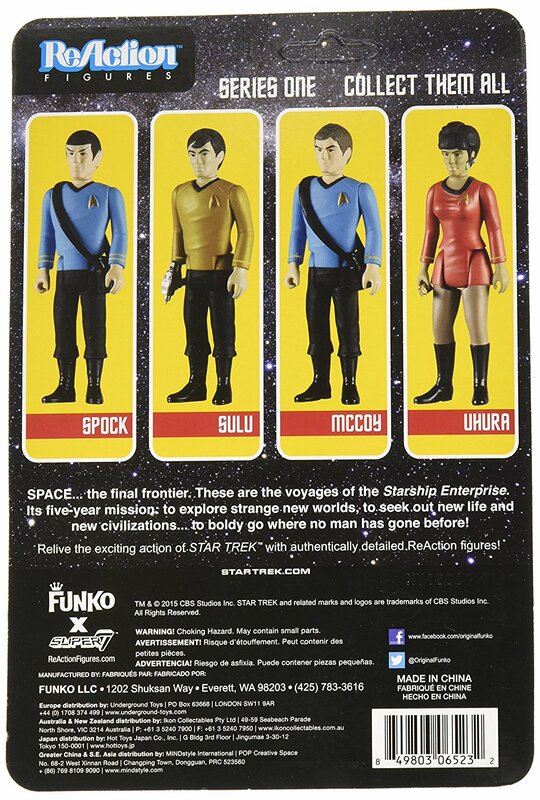 It’s totally retro and totally cool. Time to boldly collect what no man has collected before! 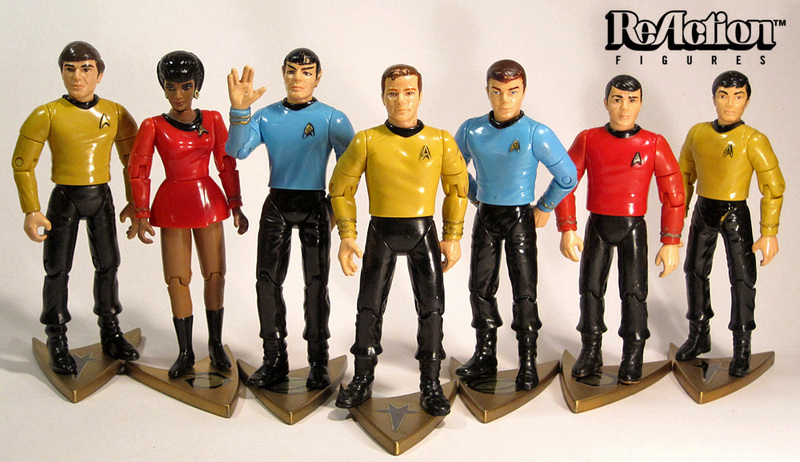 The original crew of the U.S.S. 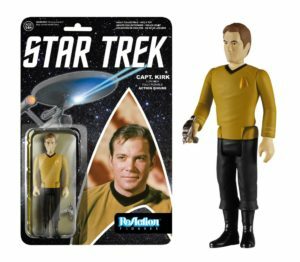 Enterprise boldly goes where they’ve never gone before: into Funko’s 3-3/4″ ReAction figure line. 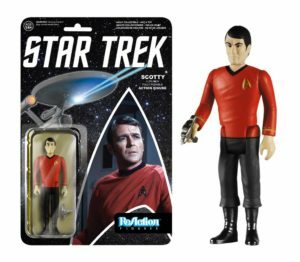 Each figure boasting five points of articulation.